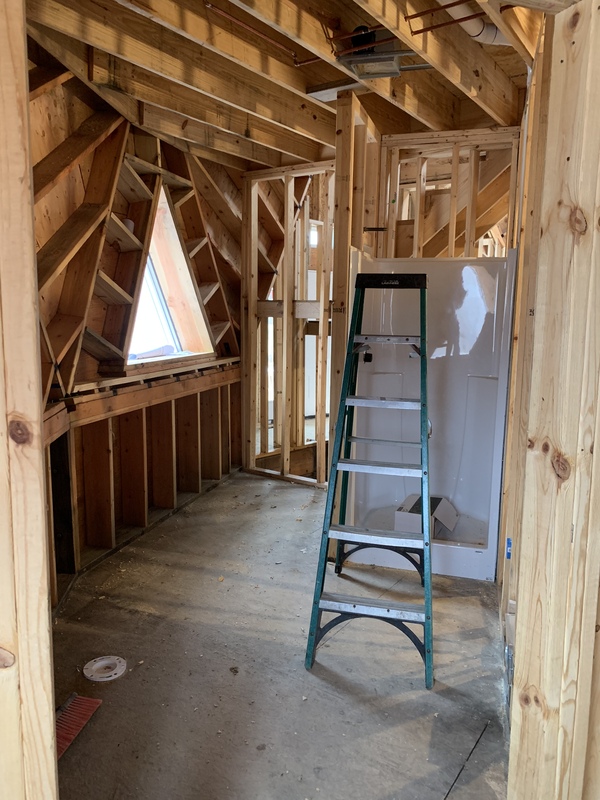 The rough in for the master bath necessitated the install of the shower surround but the tub is freestanding so that will wait until after flooring. So excited about the tub. It is in a giant crate in the basement just waiting to be unveiled!